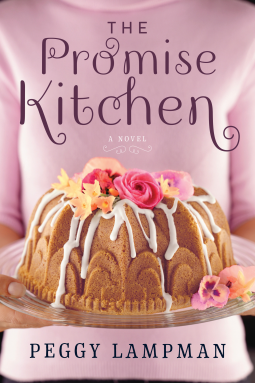 The Promise Kitchen was first published under the title Simmer and Smoke in 2015. That cover of that edition is far more suitable to this present cover. This cover implies frivolous and sweetness and light, and that just doesn't match the gutsy women and the southern life and their cooking. This is the story of Shelby - wanting to be a chef par excellence, yet ground down in a small backwater place where dreams are hard to realise. She has a daughter (Ann, and my favorite character) about eight years old. They live with Shelby's mother and partner Lester. Shelby's mother has dreams too, she wants to restart up the hair dressing business she loved once. When Shelby gets a chance to develop her skills in Atlanta - her mother cares for her daughter while she is away. Mallory is a food blogger, far wealthier than Shelby, but not happy really, she hasn't found that place within her, where she knows she is home. Shelby looks up to Mallory and follows her recipes and thinks it is amazing to actually meet her. When an accident occurs it turns Mallory's life upside down, she experiences guilt and the need to make reparation. Eventually the lives of Shelby and Mallory intertwine and together they move forward. This is a story of family, friendship and going after your dreams. It is about second chances and over coming weakness that has crept in. While I wasn't drawn to the southern food, the characters snuck up on me and I grew to care about them and cheer them on. I found your opening analysis of the covers intriguing so I Googled the original title. I have to say though I do like this second cover. The picture of that cake makes me drool. I'm glad it was a good read. I'll add it to my TBR. Yes this one looks yummy, but the cooking isn't really a match, its more grits and southern cooking! This cover is eye-catching for sure! Glad you loved the characters in this one. Thanks for the review Kathryn I love friends and character driven stories. This looks right up my alley!